Warfare Officer is a bizarre mix of real-time strategy and arcade explosiveness (if there is such a thing). 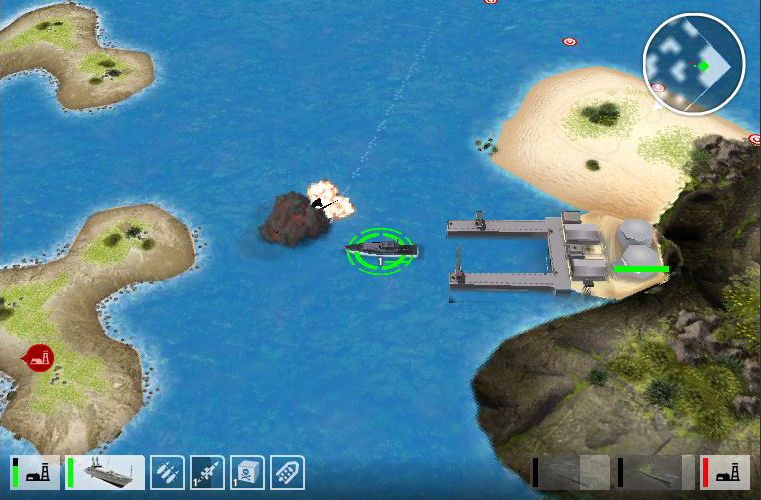 Take control of three Australian navel ships and lead them on a mission to destroy the enemy base whilst protecting your own. When you first start up the game you are requested to select a fleet for your battle. You are initially presented with 3 preset fleets – Offensive, Defensive or Balanced. Each fleet is made up of three different vessels from a collection of Australian navel vessels – an Armidale Class Patrol Boat, Anzac Class Frigate, Collins Class Submarine, Hobart Class Air Warfare Destroyer or a Canberra Class Landing Helicopter Dock. Each vessel has its own set of attributes in regards to speed and strength. Some also have some extra features such as support vehicles. 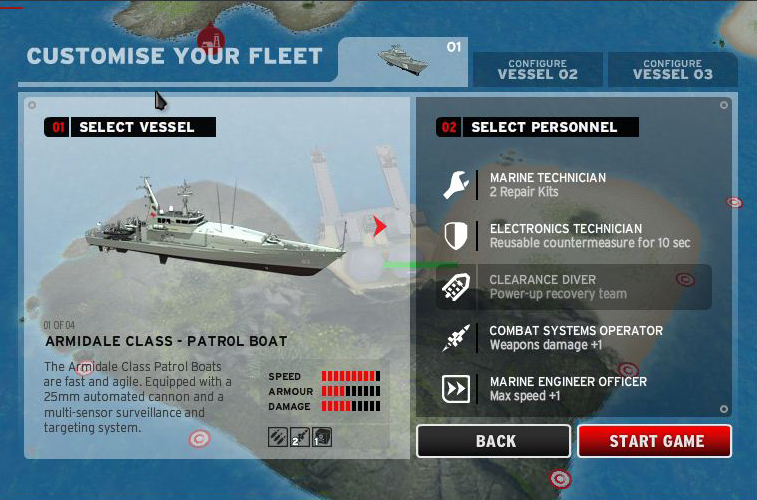 Each select vessel also has an Australian Navy personnel member assigned to it which provides the vessel with an extra feature, such as better defences or a support craft. After that, the game begins. 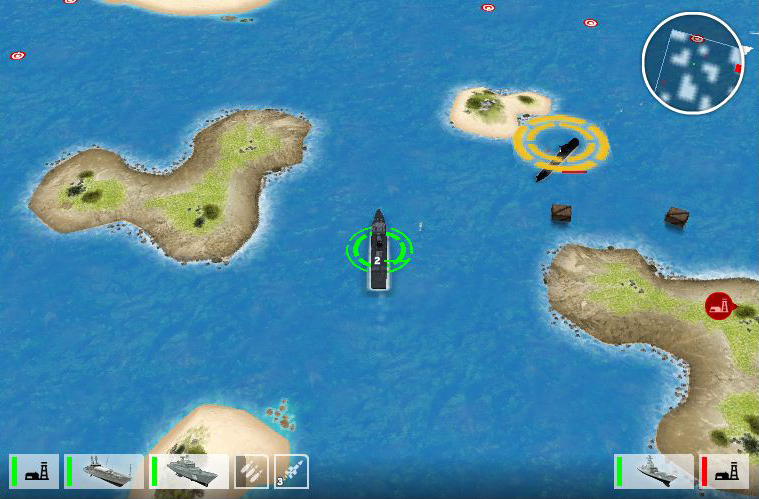 You are given control of your three vessels and pointed in the direction of the enemy base. The goal of the game is to find and destroy the enemy base before they destroy yours. 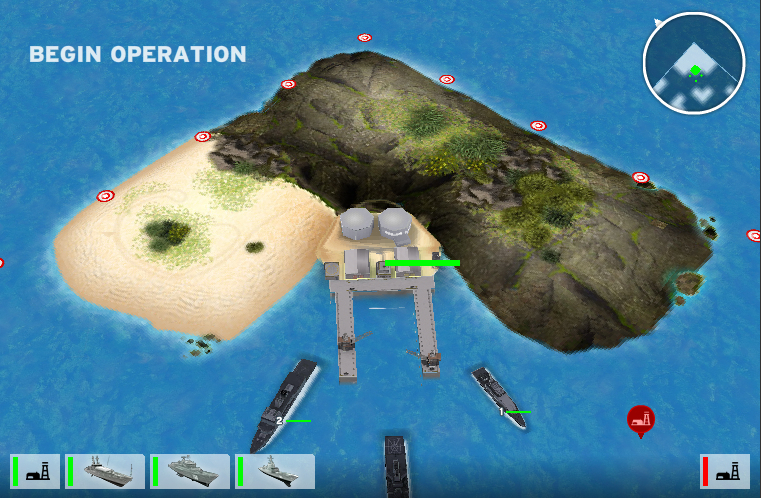 The map is filled with a number of islands so it is not too difficult to sneak past your enemy without getting into a conflict. To control a ship you simply click on it with your mouse. Once selected, a list of possible actions are displayed along the bottom of the screen (with move being the default action). Selecting an action will either carry it out straight away, or trigger a targeting radius showing the area in which the action can be carried out. If one of your ships is destroyed in battle, it will be reconstructed after a period of time – as will your enemies ships. it is important to take advantage of this time because the ships will be rebuilt at their base and are made invincible for a short period of time. There is a single player campaign where you go up against a rather ruthless computer opponent – or a multiplayer game where the enemy is controlled by another player. Both are online now and playable at Defence Jobs. 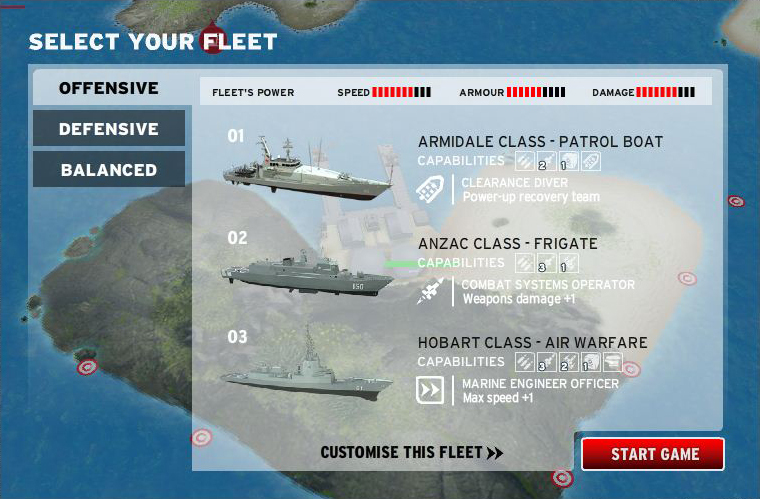 This was the second major game I got to build for defencejobs.gov.au whilst working at Visual Jazz and it was definitely the biggest game I have ever worked on.